Advanced visualisation systems are medical instruments that are equipped with advanced software that displays the numerous aspects of a living cell efficiently. These systems decrease the turnaround time taken by clinicians to report the result to the patient. These systems are widely utilised in pathological laboratories for various clinical applications. 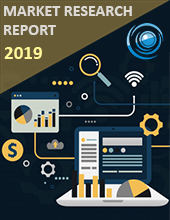 Europe Advanced visualisation market size is projected to reach approximately $0.83 billion by the end of 2024 with a CAGR of close to 9.6% from $0.52 billion in 2017 during the forecast timeline 2018-2024. Key parameters promoting the market growth include Increasing Awareness of Benefits Offered by AV Tools in Disease Diagnosis, need for Efficient and Early Diagnosis of Disease, Rising Prevalence of Target Diseases Coupled with Growing Geriatric Population, Technological Advancements in the Field of AV Technology Leading to Improved Data Interpretation, and Advancements in AV Software Such as Integration of Pacs & AV Tools. However, Technological Limitations Associated with Existing AV Analysis, and Limited Availability of Reimbursements for Radiology-Based Diagnostic Procedures are thereby hampering the market growth. Product and service categorise Europe Advanced visualisation market into hardware and software; implantation service, post-scale and maintenance services, and others. It is segmented, based on the solution, into enterprise-wide thin client-based solution and standalone workstation-based solution. Among them, enterprise-wide thin client-based solutions are expected to account for the most significant share of the market due to offered benefits such as enhanced data storage capacity, data transfer capabilities, multi-user interface, streamlined analysis, and centralised post-processing solutions. Also, the market is segmented by imaging type into magnetic resonance imaging, computed tomography, ultrasound, radiotherapy, nuclear medicine, and others. Among them, the magnetic resonance imaging segment is expected to command the most significant share of the market due to the growing application of MRI in several clinical areas such as oncology, radiology, and cardiology is driving the number of MRI imaging procedures. By application, it is segmented into radiology/interventional radiology, cardiology, orthopaedics, oncology, gastroenterology, neurology, and others. Based on the end user, it is segmented into the hospital, diagnostic and imaging centre, and others. By Geography, Germany is projected to dominate the market with the most significant share and the growth in the Europe economies is mainly attributed because of technological advancements, increasing healthcare expenditure, growing geriatric population, improved healthcare infrastructure and increasing prevalence of chronic diseases. Siemens Healthineers employees Dr Klaus Engel and Dr Robert Schneider have been nominated for the German Future Prize along with Professor Dr Franz Fellner, head of the Central Radiology Institute at Kepler University Hospital in Linz, Austria, and extraordinary professor at the Friedrich-Alexander University Erlangen-Nuremberg, for the development of the visualisation technology Cinematic Rendering. They are one of three research teams in contention for the award. The prize, awarded by the President of Germany, is one of the country’s highest distinctions for technology and innovation. Cinematic Rendering technology, developed by the two visualisation experts and their clinical partner, generates photorealistic three-dimensional representations of the human body from the output of CT and MRI scans. Using the radiological diagnostic software applications Syngo.via and Syngo.via Frontier, the technique enables previously unseen levels of clarity. TeraRecon and Vizua Announced an Innovative Approach to Medical Imaging Holography at RSNA 2016.